Those low cost leads just don't work anymore. WE ARE HERE TO HELP. High bounce rates, inaccurate data, and off-the-shelf data points means that every B2B sales strategy has the same weak link: Data Quality. We'll work with you to develop a profile of your ideal customer or pinpoint key decision makers. Our expert team uses a combination of methods to get highly accurate data. 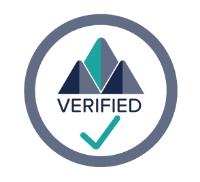 Each one of our prospects are verified using LinkedIn, making each lead a legitimate potential customer. We automate your sales development process with a blend of software, Machines, and people..
We work with great companies around the world. Our customers include Videorize, NBN Minds, Quant Stars, and more. Let's chat.